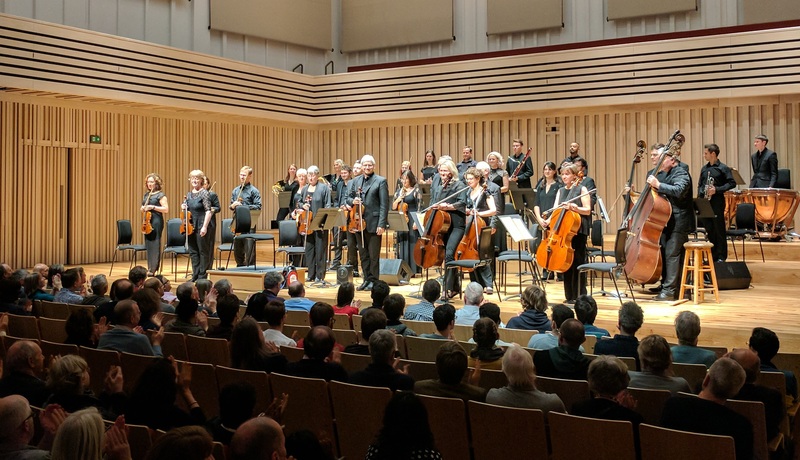 The Northern Chamber Orchestra’s Learning Team is experienced, versatile and very creative and we run sessions and workshops for all ages and abilities. For schools, we have an engaging range of sessions specially developed to allow children of all ages to explore the exciting potential of interactive music-making – including when linked to other subjects and art-forms, such as science, history, drama, dance, art and literature. The team can also develop a bespoke project to meet any specific requirements you may have. “Fantastic! The players commanded a high standard of involvement and commitment. The children were 100% focused. Every class had a session that was tailored to their ability and interests of the children. Thank you!” Class Teacher, Tyldesley Primary School, Wigan. For more information about NCO learning and participation opportunities, please contact General Manager Tom Elliott: tom@ncorch.co.uk Telephone: 0161 247 2220. The NCO works with and is supported by several area music education hubs, such as ‘Accent’ Warrington and Halton Music Education Hub, the Love Music Trust, NYMAZ North Yorkshire Music Education Hub, Derbyshire, and Greater Manchester Music Education Hubs.